"It is early in a day" and sends "security" to the temporary spots of the whole country in o motto. ・Depending on a purpose of use, I suggest the design of the circuit and the choice of the material. ・I hold company switchboard manufacturing facility in Matsubara-shi, Osaka. ・The production system which an exclusive duty engineer performs until a design, production consistently. 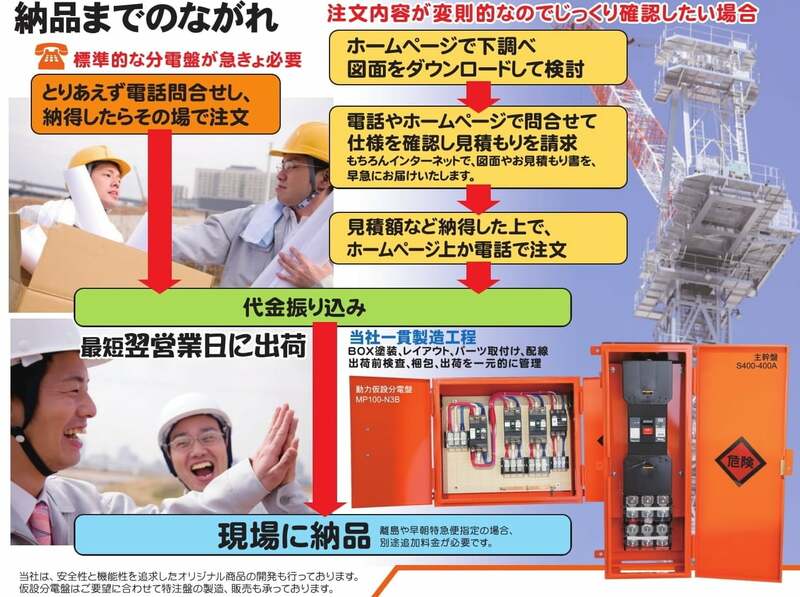 ・Several regular exclusive duty engineers are resident. ・The collective stocking of the material depending on a tendency to order.